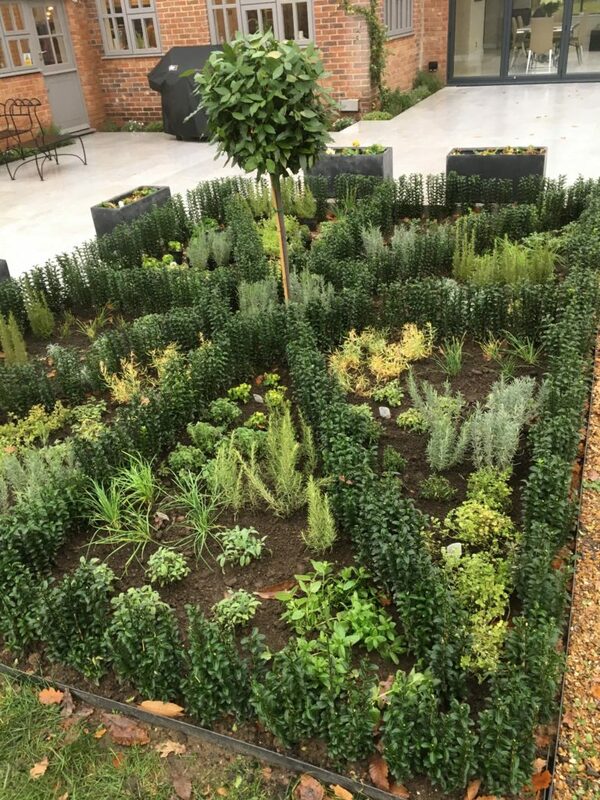 A customer of ours was looking to create a new herb garden and wanted to have the sections of the herb garden outlined by low hedges to create distinct sections. Whilst we weren’t able to supply the herbs ourselves, we put the customer in touch with specialist herb growers Pepperpot Nursery (https://www.pepperpotherbplants.co.uk) who supplied the herbs whilst we supplied the hedging. The requirement was that the hedge had to be low in height, clip well and be evergreen. Euonymus fitted this specification perfectly. With its small leaves and compact growing habit, Euonymus is ideal for creating low hedges around garden borders. It clips extremely well and is tolerant of both full sunshine and shade and will put up with many soil types. Euonymus has become increasingly popular in recent years as a Box substitute and the most popular variety we sell is Euonymus japonicus Green Spire which is relative of the Spindle Tree that is commonly found in many UK deciduous hedgerows. This customer decided to plant 40cm tall Euonymus in 2lt pots which can be viewed on our Euonymus hedging category page.  Many people ask the difference between buying container grown plants compared to buying bare root plants and why container grown plants are more expensive. This simply comes down to the question of cost and quality. Container grown plants have spent their life living in the perfect growing medium meaning that their roots can establish and thrive in the best environment. When planted out in the garden, container grown plants will always establish much quicker. As a result of the extra growing costs, container grown plants will always be a much more premium expensive product. Bare root plants on the other hand have been grown in a field and then pulled out for sale with no soil around their roots. Although it is much cheaper to produce field grown bare root plants, the fact that their roots are disturbed during the lifting process will cause an extra degree of stress to the plant making them slower to establish when planted in the garden. We hope all our readers agree that this Euonymus hedged herb garden looks fantastic!